Shiva Jones was the iconic vocalist with Island Records' supergroup Quintessence during their mercurial 1969-72 reign. Although periodically active in new musical ventures in both Australia and the US during subsequent decades, he made no commercially released recordings and had left the Quintessence repertoire frozen in time. 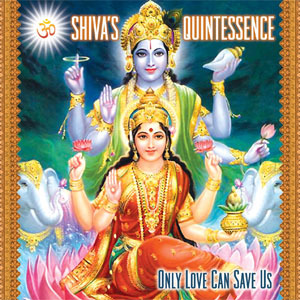 Then, 35 years later, Shiva recruited some of his favourite musicians, including original Quintessence guitarist Maha Dev and Swiss keyboard wizard Rudra Beauvert, to collaborate on a series of remarkably fresh studio recordings featuring old Quintessence favourites along with some wholly new material. Here, remastered from the original mixes, and with a track listing personally selected by Shiva, is the very best of these recordings. The accompanying booklet includes liner notes by Shiva Jones and Rudra Beauvert. 12. But What Am I?